As a wedding tradition, it is followed in many part of India as well as in neighboring countries of Pakistan, Bangladesh and Nepal. Mehndi is quite popular among Muslims as well. According to Islamic literature, Prophet Muhammad used mehndi to dye his beard and administered its use to those who were unwell. Because of this, mehndi ceremony is an important pre-wedding ritual, observed in the Indian subcontinent and many Arabic nations. Significance of Mehndi: Mehndi represents the bond of matrimony and is therefore, considered a ‘shagun’. It signifies the love and affection between the couple and their families. -The darkness of the mehndi colour on a bride’s hand represents the deep love between the would-be-couple. -The mehndi colour also shows the love and understanding between the bride and her mother-in-law. -The longer the mehndi retains its colour, the more auspicious it is for the newlyweds. -Mehndi is also deemed to be a symbolic representation of fertility. 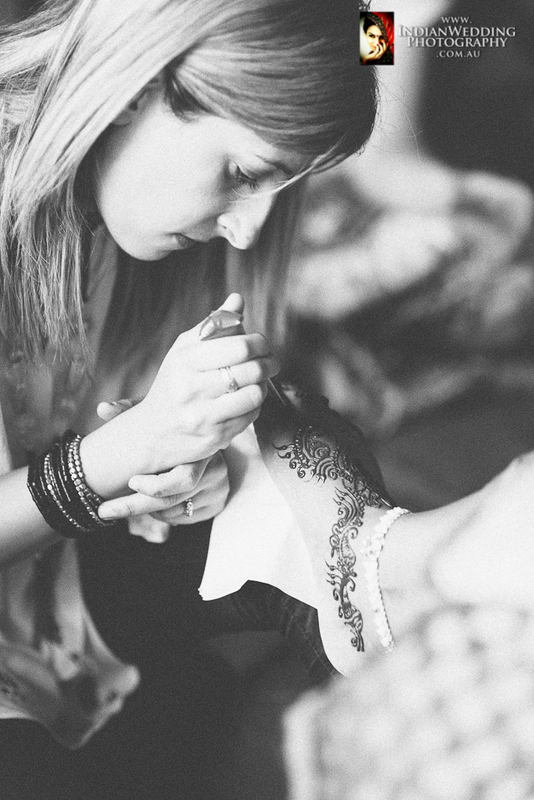 -Mehendi or henna is known for its medicinal properties. It has a cooling effect that aids in soothing stress, headaches and fevers. Mehndi herb is also very beneficial for growth of nails. So, mehndi is applied to relieve the bride and groom of all the wedding stress. It also protects them from any viral diseases before the wedding. Mehendi Ceremony: The Mehndi ceremony is a colourful, musical and lively celebration. Different families have different customs during the ceremony. It is usually held a day before the wedding ceremony and is often combined with ‘sangeet’ ceremony. 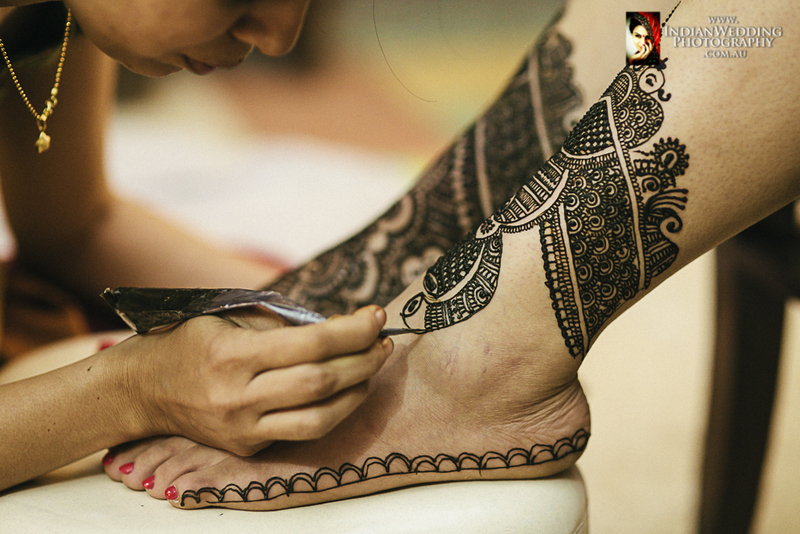 The bride and other females in the family get decorative mehndi designs on their hands and feet. It is an occasion for both parties to have some fun, mixed with the usual dancing and feasting. 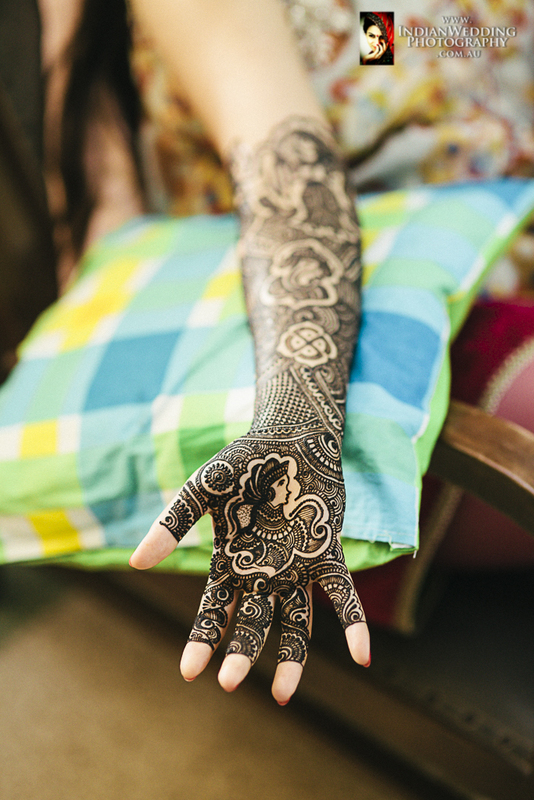 In the intricate design of the bride's mehndi, the groom’s name or his initials are also hidden. During the post-wedding ceremonies, the groom has to find his initials in the bride's hands. This is a fun ice-breaking game for the couple, which also helps them to establish some intimacy.